Following more than ten years of campaigning in Bulgaria, the Bulgarian Government finally decided to drop plans for the Belene nuclear power plant that was slated for construction along a seismic fault line. 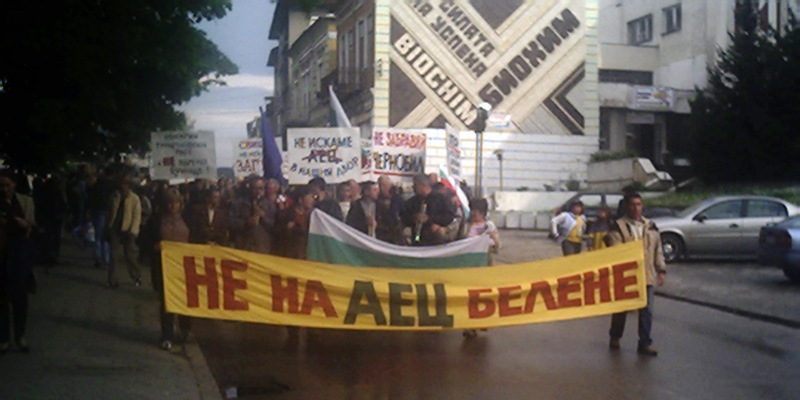 Protests in Bulgaria against the Belene nuclear power plant. The project design of Belene Nuclear Power Plant (NPP) in Bulgaria was carried out in the early 1980s. The construction started in 1987 with the following time schedule: unit 1 – 1995, unit 2 – 1997, units 3 and 4 – after 2000. In 1990, due to a lack of funding and mass opposition by NGOs and citizens of the town of Svishtov, the construction work was decreased and then, by 1991, fully stopped. A team of some 50 scientists from the Bulgarian Academy of Science produced a book with arguments against the development of a nuclear plant on the selected site. Since then only the preservation of the construction work and the equipment has been carried out. In the mid-1990s the reactor vessel for unit 1 that had been paid for several years earlier was delivered to the site from the Czech Republic. Official sources have let it be known that the construction work for unit 1 is up to 40 percent complete and for unit 2 roughly 10 percent complete. The site of the plant as well as the construction work itself were never the subject of a license from an independent nuclear regulatory agency. Consultants (a financial consultant and project designer) have been hired. A National Coalition “Stop Belene NPP!” (“AEC BeleNE!”) was established in early 2004 to challenge the project and to coordinate protests and opposition against the construction of the unpopular and unneeded power plant. It includes groups from Sofia, Svishtov, Nickopol, Montana, Veliko Tarnovo, Vratza, Blagoevgrad, Novi Han, and Vulchedrum. 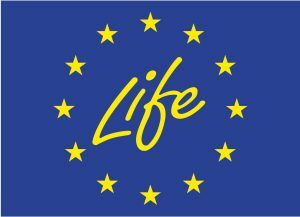 CEE Bankwatch Network coordinates the international activities connected to the campaign with the support of other international networks such as Greenpeace, Friends of the Earth Europe, EEB and a number of other NGOs outside Bulgaria. A US diplomatic cable, originating from the WikiLeaks organisation and published in the Guardian newspaper just before Christmas, relates the serious misgivings of US Ambassador in Bulgaria, Nancy McEldowney, over the planned Belene nuclear power plant in Bulgaria. A fact sheet chronologically outlining the events and developments of the Belene Nuclear Power Plant project from 1981 until October 2009.